The 2020 Mercedes-Benz GLE is not your father's GLE. The redesigned midsize crossover boasts a roomier interior, a range of engines, a high-tech all-wheel-drive system and suite of semi-autonomous technologies. It will debut at the Paris auto show in October and go on sale in Canada next year. Pricing was not disclosed. 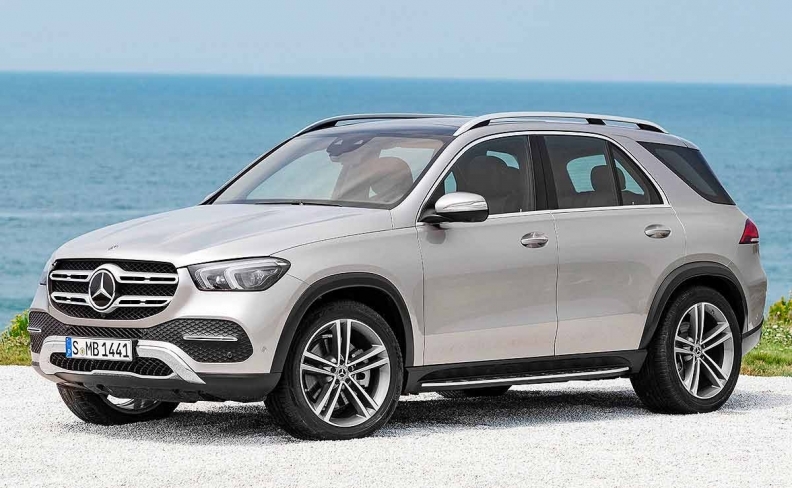 The 2020 GLE marks the fourth generation of Mercedes' midsize crossover, originally named the M class. Mercedes renamed it the GLE in 2015 when it introduced a freshened model under a new naming convention for its cars and light trucks. U.S. sales of the GLE have dropped 11 percent this year in a midsize luxury crossover segment that has grown 2.5 percent. The redesigned GLE moves to Mercedes' Modular High Architecture, or MHA, platform. It will feature a new suspension system powered partly by the 48-volt battery and developed by Mercedes-Benz. It is the only system on the market where the spring and damping forces can be individually controlled at each wheel, the automaker says. This means that it not only counteracts body roll, but also pitch and squat. The GLE will be launched with several engine offerings for the U.S., including a 2.0-litre inline-four turbo engine on the GLE 350 and GLE 350 4MATIC that produces 255 hp and 273 pound-feet of torque. The 3.0-litre inline six-cylinder turbo engine in the GLE 450 4MATIC produces 362 hp and 369 pound-feet of torque. The engine in the GLE 450 4MATIC is supplemented with an integrated electric motor system, known as EQ Boost, that assists the combustion engine by adding up to 21 hp for short periods. EQ Boost also assists when accelerating, making it possible to drive without the combustion engine turned on, and supplies the battery with power via high-efficiency recuperation. By doing so, it makes fuel savings possible that were previously the exclusive domain of high-voltage hybrid technology, Mercedes noted. The 2020 GLE has a longer wheelbase than its predecessor. This creates more space, especially for passengers in the rear. Legroom in the second row has increased by 6.8 cm to 104.4 cm (2.7 inches to 41.1 inches). Headroom in the rear has increased by 3.3 cm to 102.6 cm (1.3 inches to 40.4 inches). The 2020 GLE includes an adjustable second row, and a third row is available as an option. The Audi Q7 rival is equipped with the next-gen Mercedes-Benz User Experience, or MBUX, multimedia system that has improved speech recognition capabilities, artificial intelligence and predictive learning abilities. The 2020 GLE offers a suite of safety features, including a driver assistance system that can recognize and respond to traffic jams or slow-moving traffic before the driver notices. If there is a danger of a collision with oncoming traffic when turning, the GLE will brake when traveling at low speeds.